One of the best ways to put your ecommerce business in the best position for success is by utilizing an effective keyword strategy. Do you have a good strategy that is getting you the results you need? If not, you’ve come the right place! On this episode of The Amazing Seller, you’ll hear from Scott as he shares some valuable insights regarding keyword usage. If you need a great strategy or if your existing strategy could use some tweaks, make sure to have pen and paper ready for this one! Why go after longtail keywords? How can you deploy a practical approach when it comes to using longtail keywords? According to Scott, the reason you need to be using longtail keywords comes down to securing a good conversion rate. The more specific a longtail keyword is to your product and how people are searching for that product will determine your conversion rate. Don’t leave it all up to guesswork! To hear Scott run through some helpful data and examples of longtail keyword usage, make sure to listen to this helpful episode of The Amazing Seller! The six-step process for finding profit keywords. What is the secret solution to making keywords work for you and your ecommerce brand? How do you cut through all the complexity and find the right streat3gy for success? Here is Scott’s six-step process for finding profit keywords. Search on the Jungle Scout web application using the Keyword Scout. Look at only the exact match traffic. Find the results that are directly related to your product that get 50 searches or more. Create an exact match Pay Per Click campaign. Start with $1.50 cost per click. Run it for seven days and then tweak if necessary. To hear Scott expand on each step in this process so you can get the best results for your Amazon product listing, make sure to listen to this episode of The Amazing Seller! Don’t give up, try new things! As a business leader, you know that the struggle to grow a profitable business is a tough one to navigate. You want to make sure you are following the right advice and taking the right risks. One of the worst things you could do as small business owner is to fail to try something new! Don’t let that happen to you, commit to continually learn about how to improve your processes each step along the way. Make sure to catch this episode of The Amazing Seller to find out how to put your brand in the best position for long-term success! [2:50] Why it’s important to go after longtail keywords. [9:30] Scott goes over some keyword data. [16:00] The six-step process for finding profit keywords. [21:00] Closing thoughts from Scott, keep trying new things! [00:00:03] Scott: Well hey, hey what’s up everyone! Welcome back to another episode of The Amazing Seller Podcast. 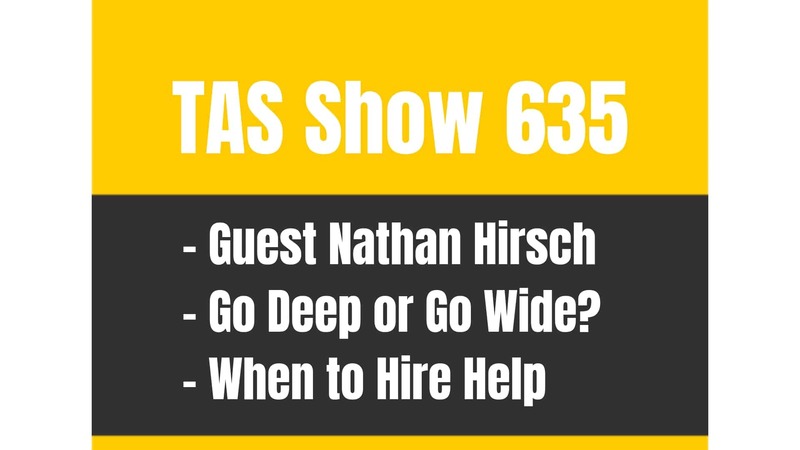 This is episode number 590 and today I’m excited because I’m going to share with you a recent case study…. …that I just wrapped up and I’m going to give you the results and this is how I found profitable keywords, profit keywords I call them, using this exact match strategy. So I want you to imagine here for a minute that someone types in ‘long handle stainless steel garlic press’. And then they find your listing and you just happen to sell one of those. There’s a better chance or a much better chance of them buying that than if they were searching for a lemon press. Or even just garlic press in general because there’s different kinds. There’s rubber handle, there’s long handle, there’s six-inch handle. There’s all of these different kinds, now if yours isn’t that type and they find you, there’s a less chance of that converting into a sale. So what I did is I went after the exact long tail, I call these long tail. These are usually at least three words long and I’m going to tell you exactly how I did this, how this turned into sales and also how it allowed me to see search traffic for keywords that you won’t really know how much traffic is going through them. Now the episode is 590 so the show notes can be found at theamazingseller.com/590 and the other thing I did is shot a video showing exactly how I did this so you can kind of look over my shoulder as I’m doing it. Let me just throw it out there. I used a tool. And the tool that I used was the web app, Jungle Scout web app. The thing I used that’s new inside of there or its’ been added recently is what they call the ‘keyword scout’ inside of the web app. So you don’t have to pay anything additional for it. It’s just included in the web app. Now, the reason why I wanted to, again try this little thing is because Greg from Jungle Scout was saying like their numbers coming in are actual numbers from Amazon searches and I’m like okay. Let me kind of play around with this. [00:02:04] Scott: What if I go ahead and I take the exact keywords that are coming or the search terms that are coming in, what if I put them in an exact match campaign and I only spent money on those as this little test? What would happen? I wonder. Well, we’re going to find out. So if you want to check out that feature inside of the web app, you can always go over to my affiliate link over to theamazingseller.com/js. And you can also get a discount by going through my link as well. Yes you’ll buy me a cup of coffee, yes I will enjoy that. So if you want to go over and check it out definitely use my link if you want to. So let me talk about again the big idea here. Why I decided to do this. Well, I wanted to find long tail keywords. I think the money is in the long tail. Going after broad terms is great for finding long tails that are converting. Now, again, a long tail keyword is really something that’s just more than one word or two words. It’s usually three, four, maybe even five. So it’s more precise or more specific to the product. I think that’s the big thing. Now, the other thing I will say though, by you putting in your keyword, let’s say it’s garlic press and you put that into the keyword scout tool inside of the web app, it will also spit back other keywords or search terms that are around that. That you might not even have thought of and I actually found a few of those too. I didn’t use any of those in this example because I wanted these to be directly related to my product. Now, again, I tested this on a product that has been kind of sleeping a little bit. We’ve been kind of debating if we even want to still carry it but I’m like we’ve got about, it was like 1,500 of these things still left. I want to get them ranking, I want to go ahead and try to get more of these out the door. I don’t want to discount them too, too much. Let’s see if I can just kind of get some more traffic going through these keywords and then let me see if it boosts my rank, let me see if I can sell some more organically. [00:04:02] Scott: That’s another little side note here that I want to throw in here. What I’m doing here is I’m getting ranked by getting exact matches going through these keywords by getting sales. We all know, at least we should know that if you have a well optimized listing and then if you have a keyword that people buy through on a regular basis you’re going to start ranking for that keyword and then when search organically meaning not in the paid results, you will show up and you will get sales. So that’s what we want. So that was the big idea here. Let me go out and test out this new tool because it was exciting and I’m like, ‘Oh, wow. Look at all these numbers.’ I get to see actually if they are correct and actually they were. Actually, in some cases, most cases, maybe it would tell me that it had like 100 searches per month for this exact term and it was actually a little bit more. But again, that could be because there’s more traffic this month than there was last month. But at least it gives me an idea. And I’ll give you kind of my criteria that I went off of here. So my big idea was this. Find long tail keywords, super, super, super let me give you one more super, super targeted. So this way here when they land on it, they are not like that’s not really what I searched for or that’s something that’s similar. Now, it’s exact. Like I said, long handle stainless steel garlic press. That’s that we’re talking about. And if I had one of them and they see it, it’s probably what they are looking for. Not just a garlic press. A garlic press, they might not want that. They might want a rubber one. They might want a stainless steel one. They might want a yellow one. They might want a red one. Now if I was to do that for the garlic press and I had a red one it might be a red garlic press stainless steel. Or ‘red long handled garlic press’. Whatever the search term was but again I let the web app keyword tool, keyword scout as they call it tell me. And the cool thing about this again I want converting keywords. I want ones that convert into sales. Another example of a long tail would be like ‘crank bait bass fishing lure’. I think I used that in my example in the video. [00:06:04] Scott: Again, if you want to check that video out definitely check that out in the show notes. So then what I wanted to do is I wanted to again create that exact match campaign. Now, there’s broad, there’s phrase and there’s exact. Now, for a lot of campaigns, I’m using Ignite right now. So Ignite, another little shameless plug here for those guys over at Seller Labs. You can check that out by heading over to theamazingseller.com/ignite. They have a 30-day trial over there as well. Check that out if you want to have them manage it for you. Actually, the software will do that. But this episode is not about that. But the reason why I kind of went outside of Ignite right now is I wanted to just do this quick, fast, throw up a handful of keywords and the next day see what’s coming in. I didn’t want to wait. I just wanted to throw it up and kind of just do it. I’m just throwing it up there, see what happens. So I found 14 keywords during this process. This process by the way took me, wait for it, 10 minutes. It took me 10 minutes to go through this process that I’m going to share with you. Now, the results for 60 days, now don’t get alarmed here. And think, oh wait a minute Scott, 60 days, 57 orders? Why is that big? Here’s the deal. These are keywords that I specifically targeted and I didn’t spend a ton of money on and I got an additional 57 orders in 60 days. That’s almost one per day. So I don’t know about you. Would you like to convert one extra sale every day on one product and actually be profitable and boost your rankings so this way here on those 57 orders I actually brought in 209 organic sales. So we had over 260 total. We had 209 organic. So my point is, yes I got 57 on the paid side but I probably got another 100 on the organic side. So would you like to have two, three, four extra sales by running something like this? I think we would all agree yes. Like who wouldn’t. We had a 35% ACOS across all 14. [00:08:12] Scott: Now, some of them were as low as like 1.8% ACOS which was insane on like 66 impressions. Yeah, that’s right. 66 impressions in one sale. Crazy. I’ll give you the actual numbers here in a minute because I’ve got them pulled up here on my computer so I can kind of walk you through some of these numbers. So again, think about that. 57 orders in 60 days from paid, all exact. I got a ton of data too so I’ll share that with you. And then also 209 organic sales. So again, why do we do this, why we do it because we want to be profitable on pay-per-click if we can. But then we also want to do it because we know that we get sales through there, 50-some sales, let’s call it 57 sales. We know that that also helps us rank organically in the search. So just try to understand this. So many people only look at the ACOS by looking at like that number. So if your margins are 35% then you just broke even on that 35% ACOS. Now, some of them are 22%. Some of them are 15%. Some of them were 6%. But across the board it was 35%. So just to kind of clear that up. Now, I’m just kind of read some of these numbers off because they are insane. So these keywords right here, these long tails were four long. Four words long. Now, this one that I found and I’m going to give you guys the exact step by step on what you can do to kind of model this but this one that has four words in it got 35,000 impressions and it converted and it converted 24 sales. Spent $181.91 and the sales were $531 and the average cost per click was $0.97. [00:10:06] Scott: 24 orders on that one keyword. Do you think that I probably would want to rank for that keyword? Yeah. And let me just tell you something, I am. Because now with again, knowing that there’s 25,000 impressions, now remember this. This is for exact. That means ‘stainless steel garlic press.’ I put in it as exact. That means that the only way that I’m going to get an impression, the only way I’m going to be able to be seen is if someone types in that in exactly as it is. So I know now that that keyword, that long tail gets 35,000 impressions. That’s a lot of traffic. So basically let’s just call it. That’s a 60-day run. Again, it’s a lot of traffic for one long tail. You can find broad terms that get 100s of thousands and I have them. But I’m looking for exact. Now, here’s another number that’s going to just blow you away. I’ve got another keyword, same amount of words. Four words. 648 impressions. And you’d be like, ‘Scott that doesn’t get a lot of traffic.’ Well, how would 14 clicks sound and how would five orders sound? That’s a 7.29% ACOS. That’s crazy. Five sales. 14 clicks. 648 impressions. Now, if I didn’t put that in there’s probably a good chance that I’m not going to show up for that long tail. I might show up for something similar to it if I did a broad match. But that right there showed me that there’s not a lot of traffic but when someone does find me, they buy me. That rhymed, I didn’t even mean it to. So I spent $8.30 and I brought in $113.83. Do you think that we should probably increase the budget on that a little bit? Yeah. And that’s kind of what we’re doing here. So that’s that one. Then I’ve got a few other ones here. [00:12:00] Scott: Again, out of 14 we’ve go like a couple that only got two sales, like one here got 2,293 impressions, 26 clicks, $0.69 per click, two orders, 47%. That’s not that great. So I probably want to take that bit of a $1.50 and probably reduce it down to about $0.50 and then we’ll see what happens. So I wouldn’t necessarily pause it. I would just reduce the amount that I’m going to be willing to spend on that. Let me go down here. Oh, here’s one here’s a good one for you. This one here has four again. A lot of these have four words. ‘Stainless steel garlic press’. Here it is. You’re ready? 33 impressions, two clicks, one order. That’s pretty good. That’s a 6.85% ACOS. 33 impressions, $1.30 spent, one order came in out of two clicks, 6.85%. Pretty, pretty good. Now there’s another one that I did on a different product. Again, I wanted to test it. I’m like, you know what, I’m going to test this thing on this. And I found on this one, I found I believe it was ten. Same idea. Now here we go. This one here we got 14,000 impressions. This is only for 30 days by the way. 30 days, 23 additional orders. Now, 14,000 impressions. 153 clicks, $0.61 per click and it was 13 orders. It’s 28.88%. Moving down the line here. Here’s another one. 2,576 impression, 50 clicks, $0.47 a click, four orders, 21% ACOS. The next one, 568 impressions, 15 clicks, $0.60 and then we have two orders, 21%. [00:14:02] Scott: Now, here’s another one of these outliers. 67 impressions. $0.80, $0.40 a click, two clicks, two orders. 1.60% ACOS. Now, some people arguing go, ‘But Scott, that’s only two sales and it’s 67 impressions. There’s not a lot of traffic.’ Find more of those. I don’t know if you guys watch Gold Rush. I watch Gold Rush pretty religiously. I enjoy the show because they are always taking chances. They are always out there trying to find the next pay dirt. They’re trying to find the golden nuggets. Where is the richest soil? So this is how you do it here in Amazon land. We just go off of the numbers. Like 185 impressions on this other one with one sale, five clicks, 20% ACOS. I’ll take it. Who wouldn’t? I got to go back to that one though. 67 impressions. Two sales. 1.60%. Insane. So now what we want to do is we want to scale those up. Let’s see if bid more, will the impressions go up because I was only bidding a $1.25. Maybe if I bump it to two bucks I’ll get more. I doubt it because it’s probably, it’s a long tail keyword. Not a lot of search. But if you can find 50 of these or 100 of these, it’s game changer. Now, all of a sudden you can add two extra sales per day. Maybe you can add five sales per day across all of your keywords. So that’s what you want to be doing. So again, this is just a test. Test it, I’m not sure how it’s going to work for you but what I would do is I would grab Jungle Scout web app. I’d go to the keyword section there, the little keyword scout tool and I’d type in, and I’ll tell you how I did it but I’d go ahead and I’d find your keyword, or your keywords, the long tail, I’d find the ones that directly you know that if someone landed it they would know that it’s for them. And then I’d just throw together a little exact campaign and see what happens. [00:16:02] Scott: Like what do you have to lose? 20 bucks, 50 bucks. Not that much when we’re talking about paid ads. So here’s the process. I told you I was going to give you the process. It’s really six steps. One, search using Jungle Scout web app using the keyword scout portion and just start with the seed keyword. So in this case it might be garlic press. Or it might bass lure. That’s what I’d do. Now if I was in the bass fishing I don’t think I’d do bass fishing because I’m going to get a whole bunch of other things. But it could lead me to something. So I’d probably try both. But if I’m selling a bass lure, I’m going to probably put in there bass lure. And then I want to see what happens. And I actually did that and it came back like ‘crack bait bass lure’. Or something like that, I’m probably talking like I don’t know what I’m talking about, which I don’t on bass fishing. But you get what I’m saying, right. I know there’s some crack bait, there’s spinner bait, there’s all that type of stuff. That’s what it would be. And that would make sense because I’m like, ‘I sell a bass lure. It’s crank bait.’ Yeah. If someone searches for that, I probably want to show up for that. Garlic press. If I sell a yellow garlic press, I probably want to put in there, yellow garlic press or stainless-steel yellow handle garlic press. Whatever, you get what I’m saying. That’s what I did. And then the other thing I did is I took one of the top listings for that product that’s similar to mine and I took the ASIN and then I just did a reverse search on that. And you can do that just like you could in other tools in the past. This here works a lot better. The cool thing that I want to emphasize here is that these numbers coming back are actual numbers coming from Amazon that are getting pulled in to Jungle Scout. So you get to look at the exact match, you get to look at the broad match. Now, broad match is going to be more. I didn’t want to look at that for this example. I wanted to look at the exact match because I said, ‘You know what, I’m just going to go after the ones that I know people would be looking for and then possibly buying.’ That’s what I want to do. So that’s what I did. And then I only looked at the ones that had the exact match traffic. [00:18:01] Scott: Now, some people would go, ‘I only want to look at the exact match traffic that’s getting thousands and thousands of searches a month. What I did is I said, ‘If it gets 50 or more, I’m going to do it and see what happens.’ And that’s exactly what I did. 50 searches or more. Some of these had 75 searches. I go you know what, I’m going to throw it out there and see what happens. And like I said, those were actually a little bit low. A lot of times it was more. So again, understand that… And I’ve always found this jungle Scout always estimates a little bit which is good. Like if it says it’s getting ten sales a day, it might actually be getting 15 or 12. I’d rather have it low than high. So I always go off of the 50 searches. That’s what I use for my criteria. And then then fourth thing I did is I created that exact match pay-per-click campaign. I put a $1.50? This is step five by the way. $1.50 cost per click was my max and I budgeted $20 for that campaign. And then I let it run for seven days and then I just tweaked it over the 60 days. That’s what I did. That’s it. Like I went in there like once a week. Like I think I went in there like I said, maybe five or six times. Like that was it. And then I looked at the numbers and I was like oh my gosh, like that’s crazy. 1.60 ACOS, I’ve never seen that before. Like insane. So that is exactly what I did. So again, six steps. One, search using Jungle Scout web app the keyword scout to a portion. Two, look at only the exact match traffic. Find the ones that are directly related to your product that get 50 searches or more. That’s three. Number four, create an exact match pay-per-click campaign. Five, $1.50 cost per click. Start with and then a $20 budget. And then six was run seven days and tweak. Like that’s it. Now, do a test on some exact matches and sift through the golden nuggets like on Gold Rush. It’s exactly what we’re doing here. Now, I want to again, highlight something I mentioned and I’m going to mention again. Remember this. The ACOS is one thing. [00:20:02] Scott: And everyone looks at that. Like that’s where I got to see like my ACOS is like 40%, I get all weirded out, I get nervous. What I want you to do is I want you to take the number of sales you made through the month and then I want you to minus out the sales you made through the pay-per-click and I can almost guarantee there is a result or the result of that ACOS. I can’t even talk, I’m so excited. Because you had those sales that helped you get the overall sales. So just minus that and that’s kind of how you can kind of see what kind of results you were getting on an organic side. And then also maybe see where you’re ranking organically before your start this and then see where you are ranking afterwards. But again, remember the overall ranking on the organic side is important to understand that the pay-per-click side of things helps that. So again, I used this new feature inside of the web app, you guys can check it out at theamazingseller.com/js. Give it a try. There’s a special discount there for TAS listeners, you, because you’re listening. So again, theamazingseller.com/js. Like I said, give it a try. Try this right here. See what happens. Give it seven days. Give it 14 days and see what happens. But the one thing you have to understand is you always need to be testing and trying new things in business because you have to always keep putting things out there. Whether that’s in Facebook ads, whether that’s list building, whether that is content creation or whether that is stuff like this that’s optimizing your current Amazon listings or your pay-per-click. Any of that stuff. We got to continue to grow. And you want to keep growing your keywords search base. The one thing I would do is well this is another little side note, put your ASIN in there and see how many keywords you are ranking for it right now. Oh, the other side note here. Another side note. All of the search results that are coming back when you do a reverse ASIN search those are the first five pages. [00:22:05] Scott: That means that all of those keywords, that listing is ranking for on at least the first five pages. That was told to me by Greg Mercer over there at Jungle Scout. So for you, a cool thing to do is even before you even run this experiment, put your ASIN in there, do a reverse ASIN on yours. And it will say, you’re ranking for about 444 keywords on the top five pages. Make a note of that. Then from there, when you’re done with this little thing, this little experiment do it again and see how many keywords you’re ranking for. And that way there you can kind of see how well it’s helping you expand your keywords search base. Because that’s going to increase traffic and if you increase traffic we know that generally sales especially if these are long tail keywords that are directly related to what you’re selling. So be very, very specific in doing that. So hopefully this has gotten you excited and hopefully you guys are ready to give it a try. And if you are, definitely head over to theamazingseller.com/js and give it a try. Yes that’s my affiliate link and yes you’ll buy me a cup of coffee which I would enjoy. But whether you use my link or not I want you to get results. I want you to give this a try and see for yourself. And you know what, let me know how it works for you. Now here’s the other thing I want you to do. Go to the show notes, theamazingseller.com/590. I’ve got a video there of me walking through exactly what I did here but actually looking over my shoulder so definitely check that out. So that’s it guys, that’s going to wrap up this episode. Hopefully, you guys are pumped and excited to give this a try. And as always, remember I’m here for you, I believe in you and I’m rooting for you. But you have to, you have to… Come on say it with me, say it loud, say it proud, “Take action.” Have an awesome, amazing day and I’ll see you right back here on the next episode. 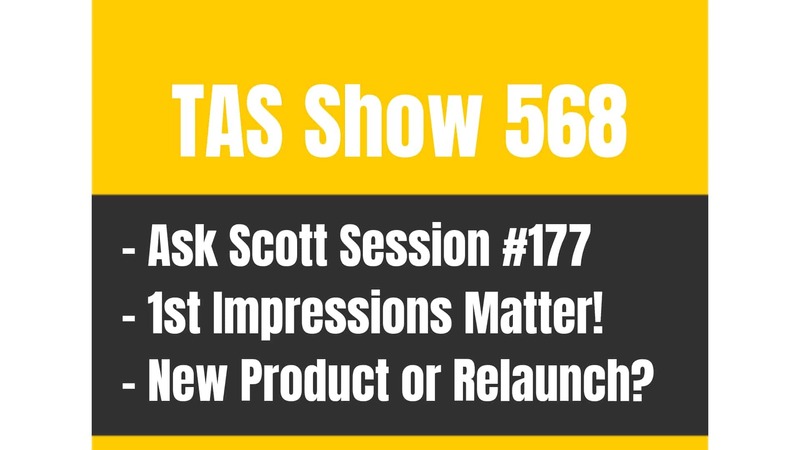 TAS 568: Ask Scott #177 – Should I Relaunch an Old Product or Start with NEW?